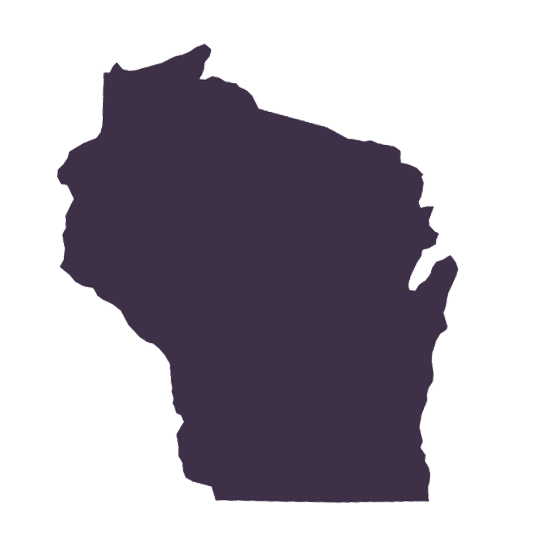 10 years: Wis. Stat. § 893.56: Any person under the age of 18, who is not under disability by reason of insanity, developmental disability or imprisonment, shall bring an action to recover damages for injuries to the person arising from any treatment or operation performed by, or for any omission by a health care provider within the time limitation under s. 893.55 or by the time that person reaches the age of 10 years, whichever is later. That action shall be brought by the parent, guardian or other person having custody of the minor within the time limit set forth in this section. (b) One year from the date the injury was discovered or, in the exercise of reasonable diligence should have been discovered, except that an action may not be commenced under this paragraph more than 5 years from the date of the act or omission. (2) If a health care provider conceals from a patient a prior act or omission of the provider which has resulted in injury to the patient, an action shall be commenced within one year from the date the patient discovers the concealment or, in the exercise of reasonable diligence, should have discovered the concealment or within the time limitation provided by sub. (1m), whichever is later. Wis. Stat. § 893.55(4)(d): $750,000 for claims with occurrence on or after April 6, 2006. (a) Three years from the date of the injury. Wis. Stat. § 895.04 (4): Judgment for damages for pecuniary injury from wrongful death may be awarded to any person entitled to bring a wrongful death action. Additional damages not to exceed $500,000 per occurrence in the case of a deceased minor, or $350,000 per occurrence in the case of a deceased adult, for loss of society and companionship may be awarded to the spouse, children or parents of the deceased, or to the siblings of the deceased, if the siblings were minors at the time of the death.